SINGAPORE (April 7): The South Korean won and Taiwan dollar dropped to three-week lows against the US dollar on Friday, as investors turned to safe-haven assets after the United States launched cruise missiles against an airbase in Syria. US President Donald Trump said on Thursday he ordered missile strikes against a Syrian airfield from which a deadly chemical weapons attack was launched. The news triggered selling of riskier assets and emerging market currencies, analysts said. "The initial reaction was a risk-off, but it's not as if such moves are getting worse and worse," said Masashi Murata, currency strategist for Brown Brothers Harriman in Tokyo. The South Korean won briefly weakened to as low as 1,140.0 per US dollar, its lowest level in more than three weeks. It later pared most of its losses and was last down about 0.1% at 1,133.80. The Taiwan dollar also hit a three-week low of 30.700, and was last down 0.2% at 30.627. Other Asian currencies were little changed with the exception of the Indian rupee, which touched its highest level in about 20 months. The rupee's gains came after India's central bank surprised markets on Thursday by raising a secondary rate while holding the key rate steady. The move was aimed at helping mop up liquidity, signalling the central bank's growing worries about a potential spike in inflation. The rupee rose to as high as 64.32 per US dollar, its highest level since August 2015. Singapore's central bank is widely expected to keep policy steady next week, with the economy seen on track to meet the official full-year forecast despite an expected contraction in the first quarter. 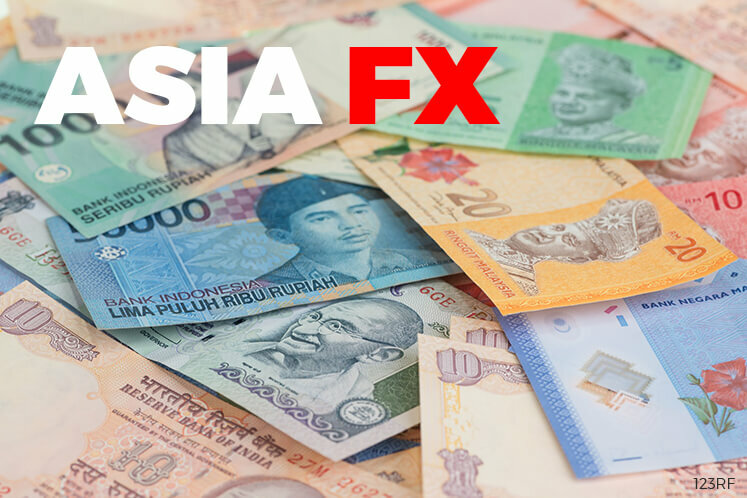 Eighteen of 19 analysts in a Reuters survey predicted that the Monetary Authority of Singapore (MAS) would keep its exchange-rate based policy unchanged at its semiannual review due on April 13, at 8am (0000 GMT). The government's advance estimate of first-quarter GDP, due at the same time, is expected to show the city-state's economy shrank 1.9 percent from the previous three months on an annualised basis, according to the median forecast in a Reuters survey. Investors increased their bullish bets on the Chinese yuan, Singapore dollar and South Korean won in the last two weeks as the US dollar continued to struggle, a Reuters poll showed. Long positions in the Chinese yuan rose to their highest since July 2015, according to the survey. Bullish bets on the Singapore dollar rose to their highest in a year ahead of the MAS policy decision.